Hospital Flat campground has 40 campsites and is located right along side the Upper Kern River 6.5 north miles of Kernville. Campsites can accommodate tents, trailers and RVs (up to 30 feet). There are several campsites along the river and many have shade from a variety of trees. Each campsite also has a table, fire ring and grate. Amenities include drinking water and vault toilets. Our favorite Hospital Flat campsites are: 7, 11, 13, 14, 22, 24 and 35. 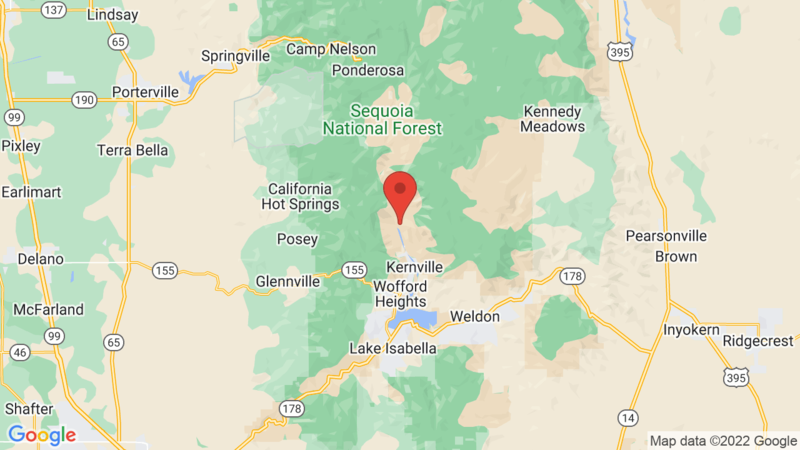 The town of Kernville has many shops, restaurants, bars, a grocery store, gas stations and a nice park along the banks of the Kern River. The campground is also about 40 miles south of a large stand of giant Sequoia Trees (“The Trail of the Giants”). Rafting, kayaking and fishing are very popular along the Upper Kern. Other outdoor recreation includes swimming, mountain biking, rock climbing, hiking, backpacking, horseback riding and wildlife viewing. Lake Isabella is also just 5 miles away and offers a variety of water sports. The other 5 Upper Kern River campgrounds are: Headquarters, Limestone, Fairview, Goldledge and Camp Three. Visted Hospital Flat Campground lately? We'd love to hear about your adventure. Did you find us useful? Did we forget something? Anything our community should know before heading out to Hospital Flat?